Cordless window blinds for the master bedroom are something that I’ve been thinking about for a long time. Another project that was put on the back burner, but with a total master bedroom and master bathroom refresh I decided to do some research. If you’re in the market for new blinds, be sure to read through, even if my first image isn’t one of my usual pretty shots! Where do you go first when you’re researching products for your home? Is it Google, Pinterest, blogs (like mine;-), Instagram? I do it all and would like to think that I’m a well informed shopper after these tons of online years. I do read reviews on Google and Amazon but honestly I feel that they can be skewed, since many folks only leave reviews if they have a complaint. 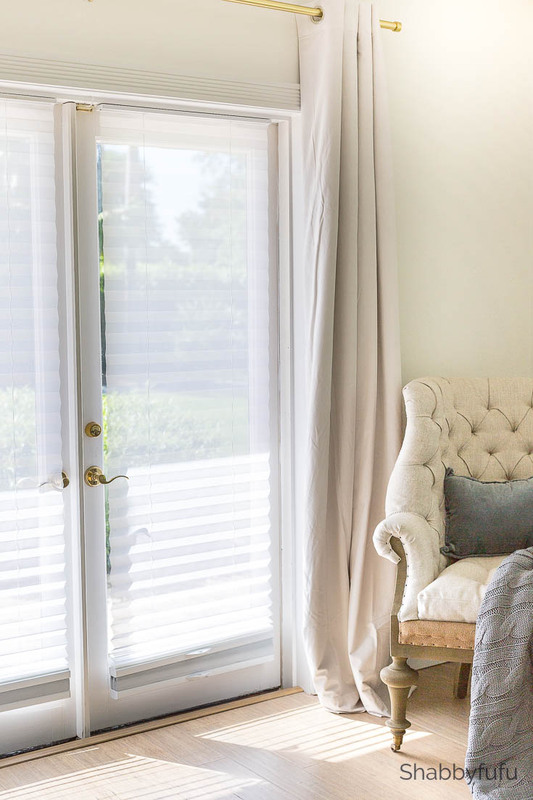 So I’m letting you know that I’ve partnered with Select Blinds for this post and they have been nothing short of wonderful to work with! My virtual room design with Modsy got me thinking about sheers, since we have such beautiful views! The cellular blackout blinds that we had previously were old and tattered. I love vintage…not a good way with those. Phone pic…don’t judge, but these old things were nasty and had their day! I also wanted to get away from cords, as they knot and tangle and can be dangerous. We have 3 dogs that jump up on the window seat and I always had to be mindful to tuck up the cords so they didn’t become entangled. Oh…the new ones are SO MUCH BETTER and I have some more shots to show you. Same window and let the lizard hunting commence in full force for Bartley and Darby. We ordered the same shades for all of the windows and the French doors. What I chose were the best of both worlds that I found doing my research. These are a combination of blackout shades and sheer. 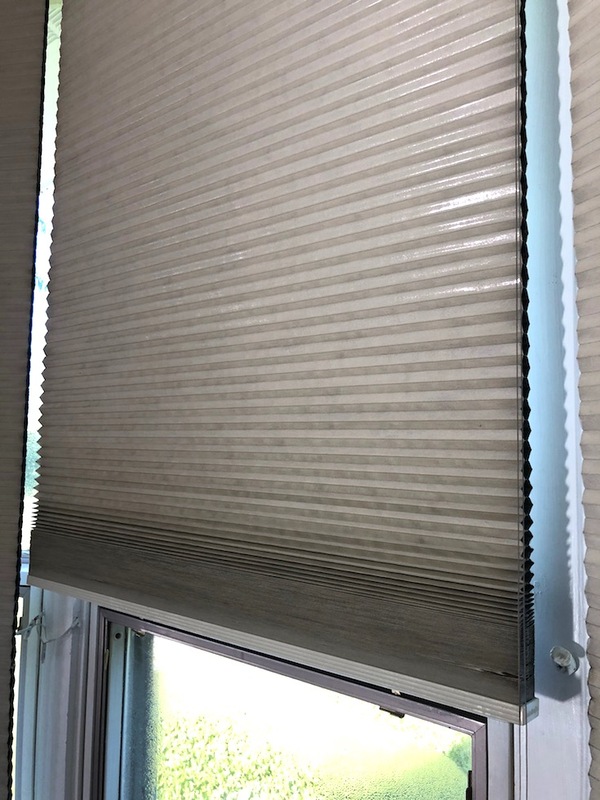 The Premier Double Cell Blackout TriShades are perfect for a bedroom, as you can use the blackout feature at night and have the sheer during the day. You get natural filtered light or full blackout together in one shade. The French doors face the pool area and have a great view, but the sheers really help cut down on the glare! On the right I have the blackout portion pulled up partially to show you how it looks. Fully closed it’s pretty dark, but you might notice new drapes (with a secret) that I’ll talk about soon. Yes, I know…they need to be pressed and steaming didn’t do them justice. I ordered the Magnolia color, which is the whitest white and goes well with my decor. Before I decided on the color I asked Select Blinds to send some samples. The blinds were really easy to install and it took my husband about 2 hours to do the 7 windows and and 4 French doors. They go up and down with ease and time will tell how well they wear, but so far…so good. The prices at Select Blinds are really so reasonable and they pretty much carry everything in terms of blinds and shades. If you have any questions they are very helpful and also feel free to reach out to me in the comments! 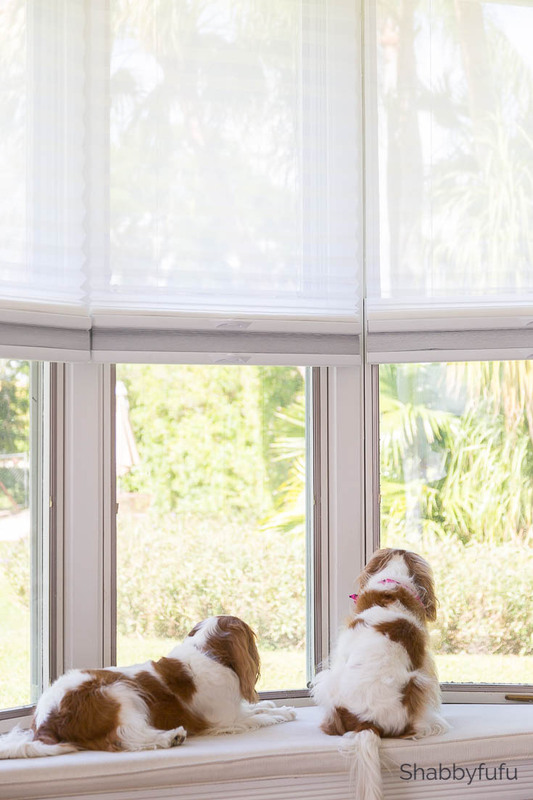 Thank you to Select Blinds for being awesome and sponsoring this post. All words and opinions are honest and my own. Hi! Can you, please, share the source of your beautiful curtains? Thank you! They are from Birch Lane and I’ll be sourcing the exact curtains in another post soon! We have these types of blinds in almost all the rooms in our house and one them. Easy to operate and look way, way better than the ones with cords. Ours are the whitest white as well and seem to stay really clean. Don’t have the “black outs” but not needed here as our Oak trees do a great job shading our bedroom and it’s facing west so the a.m. sun (if we have it) doesn’t light up the bedroom. You’ll love them!!!!!!! That is great to know Margaret! Our bedroom faces south on one side and west on the other, but being Miami it’s almost always hot and sunny! What a fun fact! 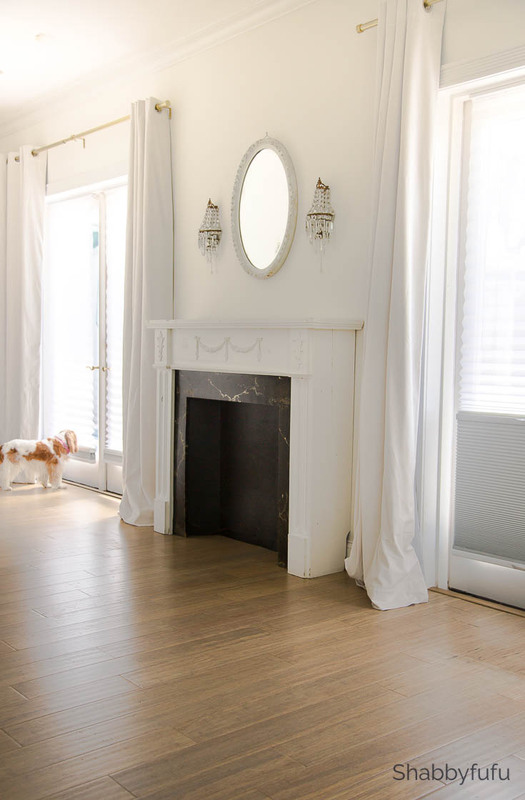 Love these blinds…they are pretty perfect in my book. 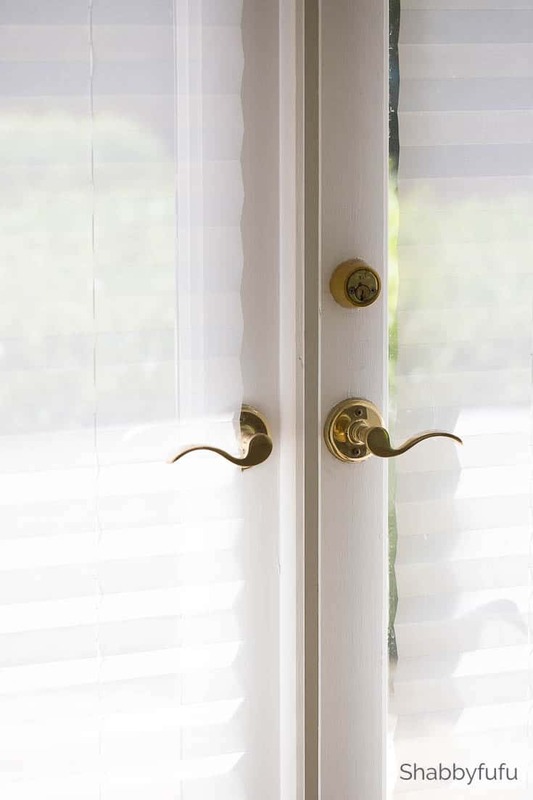 I am currently looking at blinds from Select Blind and I was wondering about their products and services and it’s kind of like you sealed the deal for me by mentioning that you purchased your blinds from them. Their prices are SO reasonable! Thanks for sharing! Carmen, I’m very happy with them and glad to hear that you are purchasing some for your home! We moved into a new home with wonderful views from the dining room windows, but discovered this summer that the sun was in our eyes whenever we were at the dinner table. I wanted to order sheer blinds, but a sample showed that the sun still shone through. I had to order solid shades. Would Select Shades enable one to enjoy views without interference from the sun? Indeed Elizabeth! The blinds that I ordered do just that, but cut out the glare. I have that type of blind in my boat. You can have a little privacy from folks on the dock or darkness at night. I can see how they would be perfect in one’s house. I wish I had hung them in m guest rooms. The honeycomb blinds give privacy but the early morning light still wakes my guests. I like to wake up with the light so I would never use the room darkening. But, You have me thinking of replacing the others. 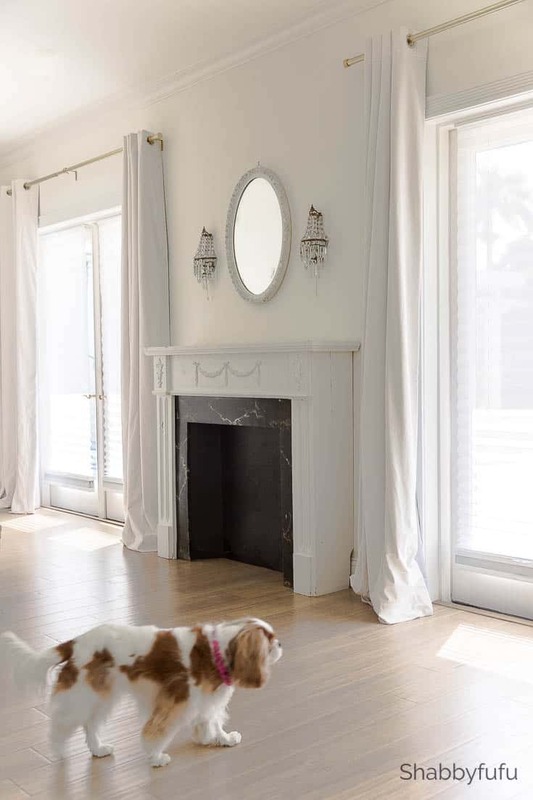 Your fireplace with those dripping, crystal sconces is gorgeous! Joanna, thank you for your thoughtful comment and we are really enjoying our new blinds so far. We don’t have a privacy issue, but we need some soft shielding from the sun during the day and it’s nice to be able to see the view at the same time. I have the “reveal” of the room coming this week!